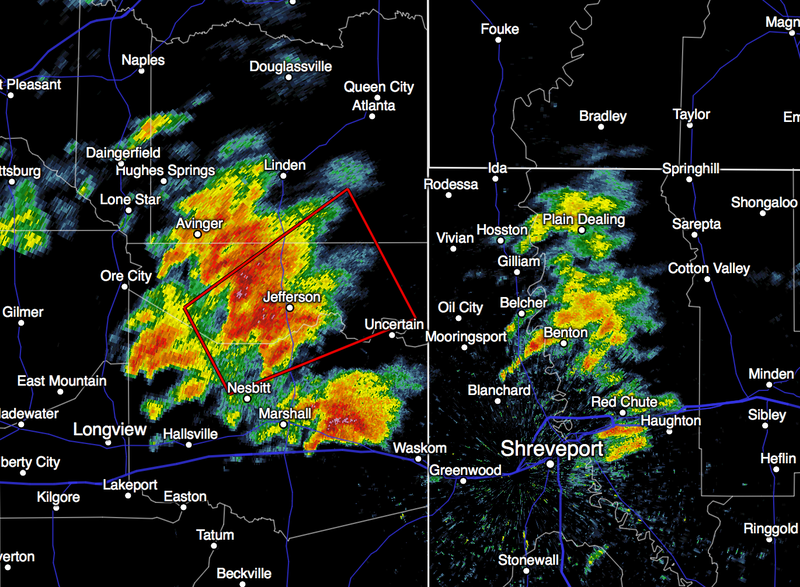 While there have been lots of tornado warnings today, this is the first tornado warning with the second wave of storms. 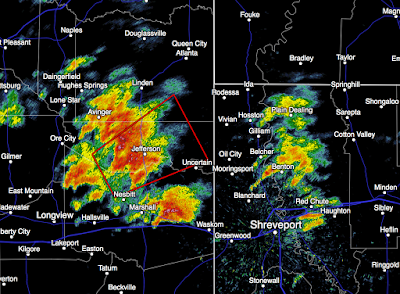 It is in the Ark-La-Tex area northwest of Shreveport. I do not live-blog storms. I'm posting this just to make you aware that if you live in one of the tornado watches (see below) it is time to begin focusing on the weather at the first sign of a thunderstorm.